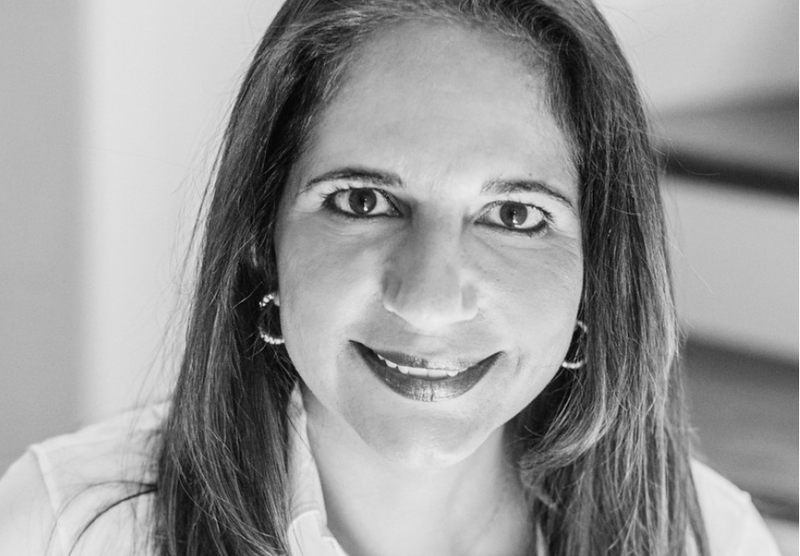 Today we’d like to introduce you to Parveen Jaglan, O.D. I am a practicing optometrist with two private practices in the greater Atlanta area. While building our house in 2011, we inquired about getting LED lights for our home. Our lighting expert knew that both my husband and I were eye doctors (my husband is retinal specialist-eye surgeon) and was surprised that we wanted LED lights. He told us that there were lot of eye warnings with LED lights. We didn’t know this so I started doing some research and came across many clinical researches connecting blue light (blue light is also emitted from backlit LED lights) to long term damage to the back of the eye, eye strain, and insomnia. We ended up not getting LED lights for our home. I however started thinking about all my patients that complain of eye strain, my teenage kids that do their homework and socializing on digital devices. I became concerned about what the long term effect of starting into a backlit light that emits this High Energy Wavelength (blue light) would be for our society, especially our kids. I felt it was important to develop a product to help filter this light for protection and comfort when viewing digital devices for many hours. I developed and patented a coating that goes on glasses to reflect the light that we are all looking at for 8 plus hours a day (average person is on the computer for 8 hours). Today we offer complete non-prescription glasses for adults and kids that don’t wear any glasses but are on digital devices for multiple hours and magnification glasses or readers with our coating for over 40 year olds that need readers for viewing up close but now are reading or doing work on digital devices. Our eyewear offers long term protection from viewing digital devices 16 inches from our faces, offers comfort by reducing headaches and eye strain that affects 70% of all digital devices users (according to the Vision Council data), and we help keep your circadian rhythm intact which helps reduce insomnia when viewing digital devices in the evening hours. Developing the product required a lot of research and understanding light as it relates and enters the eye. This was related to what I do and have studied but the technicality was outside my background and so I had to learn a lot about wavelengths, optics and what not. The biggest struggle has been in getting the story and marketing to an audience that isn’t aware that there may be a long term health issue and that we have a solution for their digital eye strain they are feeling at 3 O’clock after sitting in front of their computers all day. So, as you know, we’re impressed with Blue Light Eye Protection – tell our readers more, for example what you’re most proud of as a company and what sets you apart from others. BLEP Eyewear is one of the first company that provides an over the counter non-RX and reader for the digital device user. We are the healthier and clearer way of viewing your digital device. As a practicing optometrist and developer of BLEP Eyewear, it was important for us to address the current issues of increasing insomnia and eye strain. We also are concerned with the potential harm these lights may cause with the long-term usage at such close proximity. Recently other competitors have come into the market but we are the only coating in the market that really address all three issues of protection, reducing headaches and migraines, and insomnia. Just like you wear sunglasses for protection and comfort outdoor, think of BLEP Eyewear as the indoor protection and comfort from all your backlit LED devices such smartphones, iPads, computers, and TVs. We are proud of winning the South East Medical Device Association (SEMDA) award in 2015 for new Medtech company (beating out 22 other companies presenting). We are also proud to be discovered by neurologist for our eyewear helping reduce migraine in post-concussion patients. I love the diversity of companies, educational institutions, research organizations and resources available here for new start-ups.